Dental As the demand for dentists are growing day-by-day, the requirement for dental hygienists and dental therapists is ought to increase among Canadians, thanks to the growing awareness about dental hygiene. Be it the celebrities, or the conscious youth or the aging population, people are concerned about oral health all around the world, let alone Canada. While people are familiar with the term ‘dentists’, many are still not aware of the terms ‘dental hygienists’ and ‘dental therapists’. You may find a lot about dentists if you browse through our previous posts, but this is the first time we are publishing posts on dental hygienists and dental therapists. So, our first duty is to let you know who is a dental hygienist and about the duties attached to his duties! Well, a dental hygienist is the professional who specializes in preventing oral diseases and other disorders that occur inside the mouth. He is the one who is responsible for applying techniques in the process of disease prevention. While a dental therapists is the professional who treats patients as a team along with the dentist and dental hygienists. He is also known as an oral health practitioner. Considered that there is demand for both dental hygienists and dental therapists across the world, but Canada is one such country where opportunities are limitless for these professions. If you still in a position to decide what career you should take up in the future, choosing dentistry would not be a wrong step. And if you are one of those who have the qualifications to pursue a career in dental hygiene and dental therapy, we recommend you to think seriously about your future prospects without wasting time. While you may be wondering if your home country is the best place to pursue a career in dentistry, we can guide you through the process of choosing a perfect career, as well as the best suited place to pursue your profession. In a country like India, the employment prospects of a dental hygienist or dental therapists are very limited. Moreover, the salary paid to the professionals are also not competitive when it comes to salary packages offered in countries like Canada, the United States, Australia and United Kingdom. Canada boasts a booming dentistry industry. Thus, employment opportunities in the country are endless. The industry is experiencing ongoing boom and this is the right time for anyone to consider an immigration plan to Canada who wishes to make a career in dental hygiene and dental therapy in the North American country. 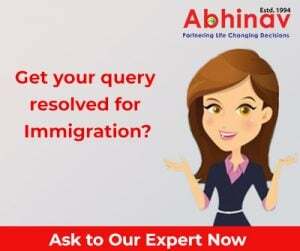 For any assistance in this regard you can contact us at ajay@abhinav.com! Stay tuned to our posts to know about the duties a dental hygienist and a dental therapist are entitled to perform! … migrating to Canada is not a big deal if you meet the requirements and you have a good consultant..